Many people have asked us questions about Anchor Point and Endeavour. We have listed our answers below to assist you in any queries you may have. If you have further questions or require information, please do not hesitate to call our sales staff. 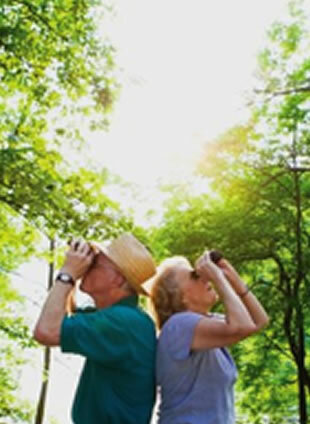 Endeavour is a Retirement Village developer who purchase and develop villages. The company focuses on quality regional and coastal towns in Victoria. How is home ownership arranged at Anchor Point? At Anchor Point Village you purchase your home under what is known as a loan lease arrangement, whereby you provide the purchase amount of the unit by way of a loan to the Village management when you enter the Village and in turn you are provided with a long term lease to remain in and enjoy the facilities of the Village. What are the Anchor Point entry prices? Please contact our showroom for our current price list. The price of your Anchor Point home is a ‘ready to move in’ price. That is, the house is ready for you to move in – all appliances, fixtures and fittings are in place are ready for you to use. In the kitchen this includes oven, cooktop, rangehood and dishwasher; in the bathroom this includes shower, vanity and all fixtures and fittings; and throughout the house this includes split system aircon/heating, hot water unit, carpets, tiling, separate laundry with trough. The interior of your home is designed according to the selection you made during the initial order stage. Are there any buying or selling fees such as stamp duty or search fees? Since the property falls within the category of Retirement Village there is no stamp duty, GST on units or search fees on title payable. There is a fee that is payable to the Village manager when selling your home through us. This price merely covers our cost to provide the function.